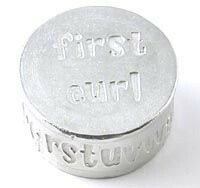 A lovely pewter box with 'My First Curl' on the lid. 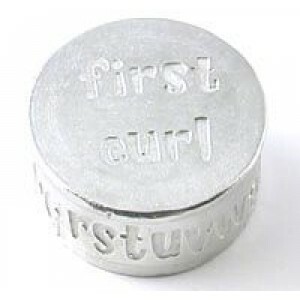 This cute little keepsakes is sent with a cream organza presentation pouch. A beautiful gift for your special baby. Please state if you would prefer a pink or blue organza presentation pocuh.